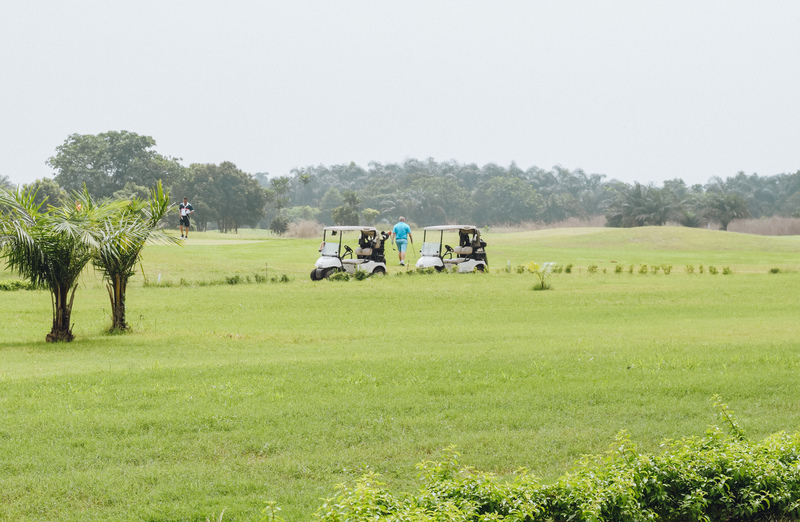 If you’re looking for a quick and easy getaway from your daily hustle in Lagos, the Lakowe Lakes Golf and Country Estate, a 308-hectare residential golf estate located at Lakowe, may just be what the doctor ordered. 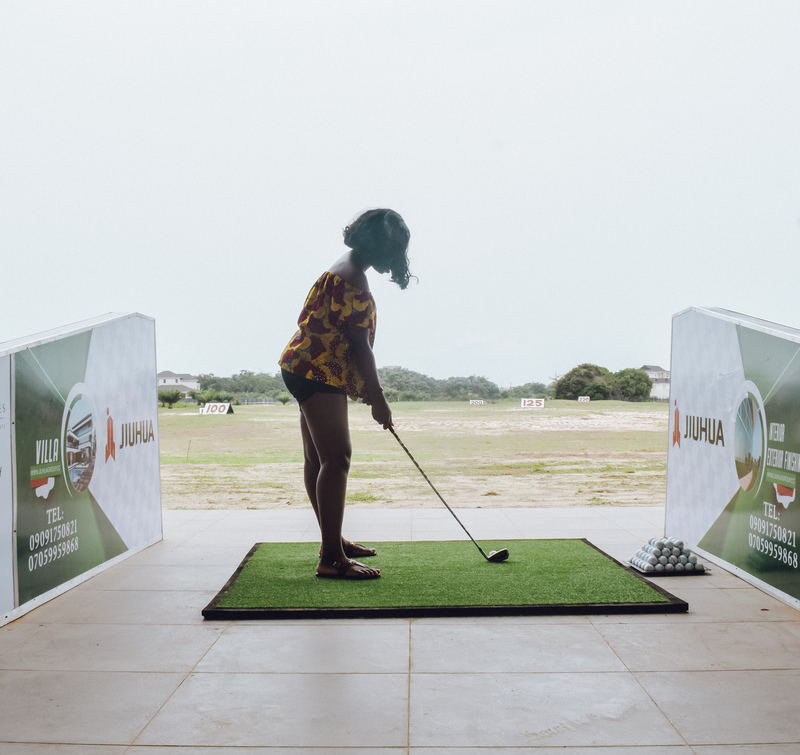 I got to spend this past weekend hanging out with Mofe, Lola and a few friends from the Nigerian tourism scene at the golf estate, courtesy FilmoRealty and boy, did we have a good time! We arrived at the facility after a 30-minute bus ride from Jakande. It was pretty much a straight drive from there and we made only one left turn to get into the road that led up to the estate. Upon arrival, our host, Ann-Marie, checked us into our apartments and gave us some time to get settled and have lunch before we began the activities for the day. 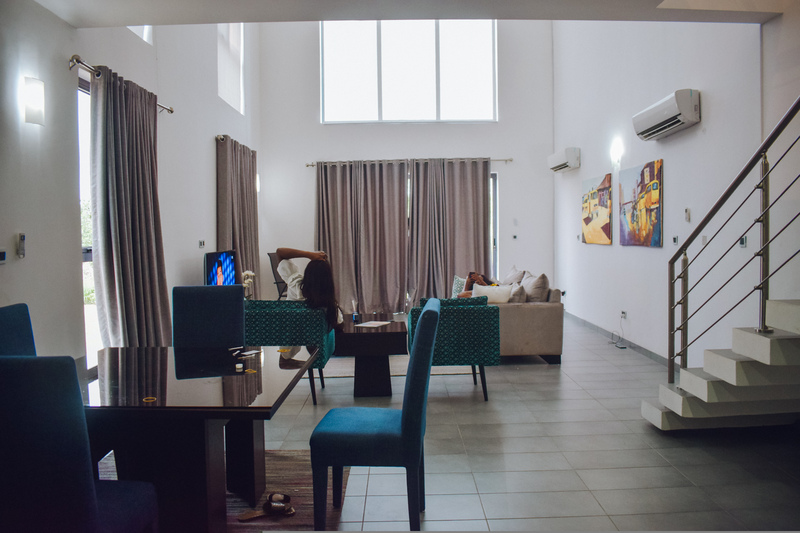 The apartments were quite chic and came fully furnished and equipped with everything we needed to make our short stay as comfortable as possible. 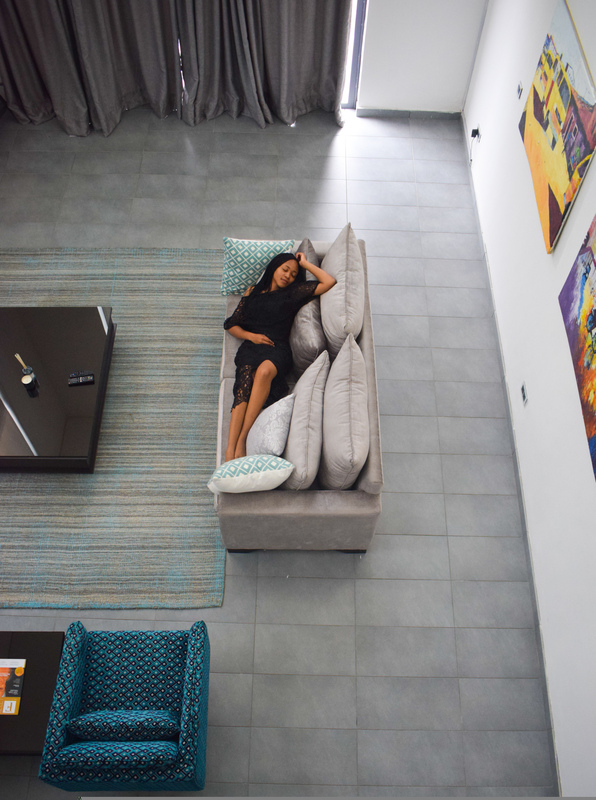 It had a living room (complete with DSTv subscription and WIFI), dining area, kitchen and a bedroom. Soon enough, it was time to begin the activities on our itinerary. Our first stop was a tour of the facilities managed by FilmoRealty. 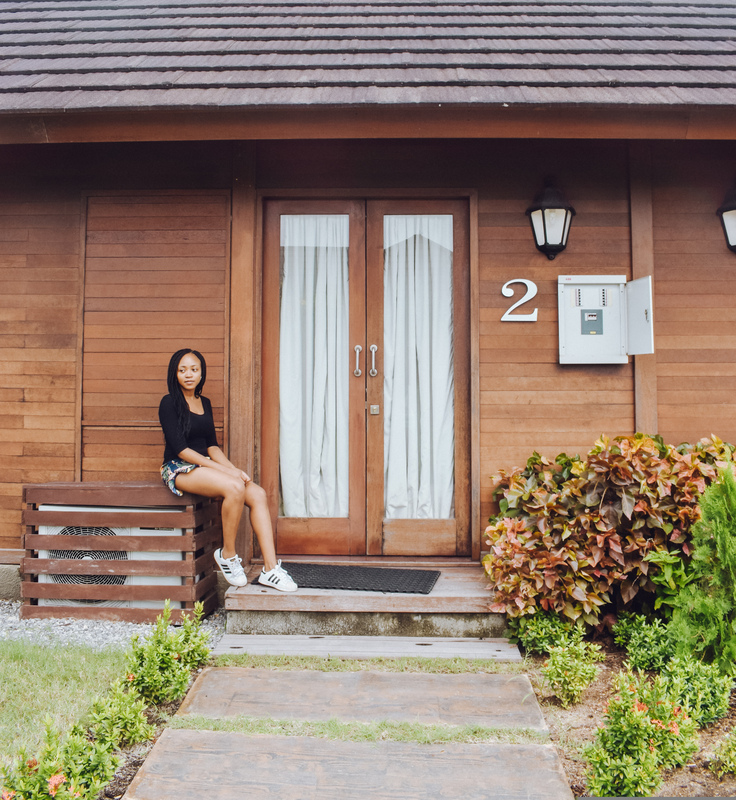 We had already seen the 1-bed Loft (this was where we stayed), so we checked out the 2 bedroom loft and the cottages. It’s safe to say the cottages were everyone’s favorite. 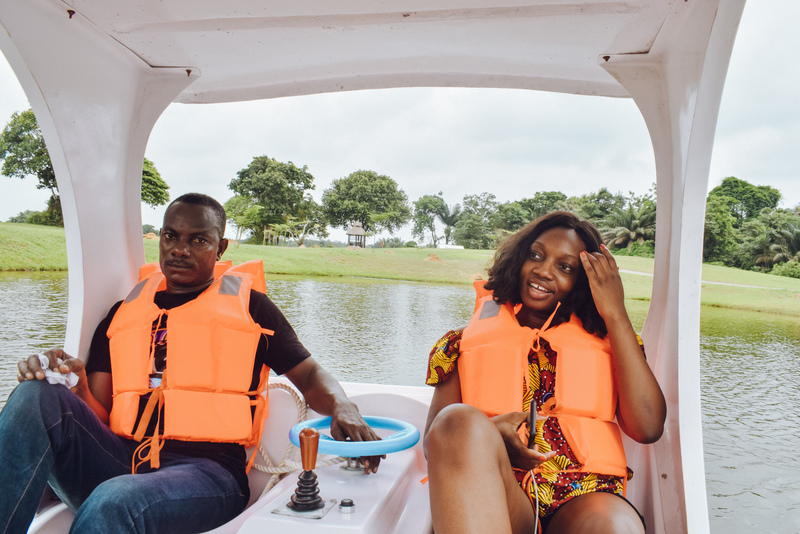 Once we were done with the tour, we went on to the next activities which involved fishing and cruising across the lake in paddle boats. Then it was time for our golf clinic. 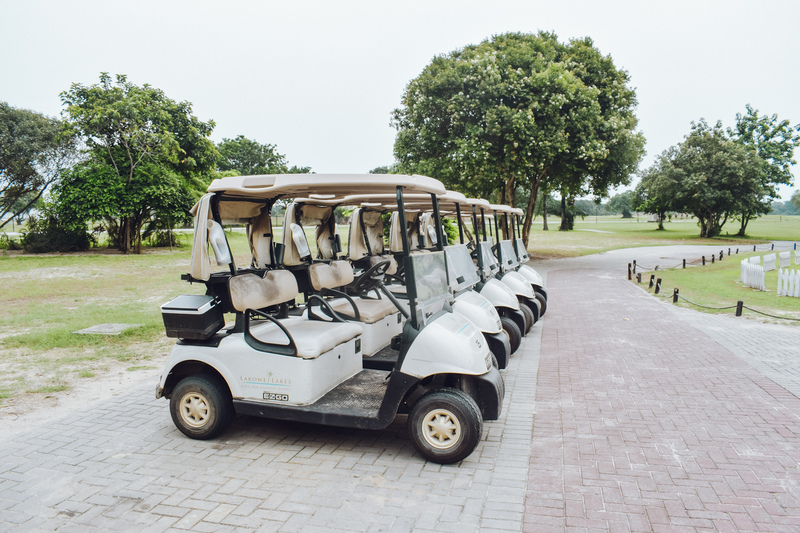 This was actually so much fun and as it turns out, I am naturally gifted at the game of missing the golf ball. I dare you to challenge me! I DARE YOU! 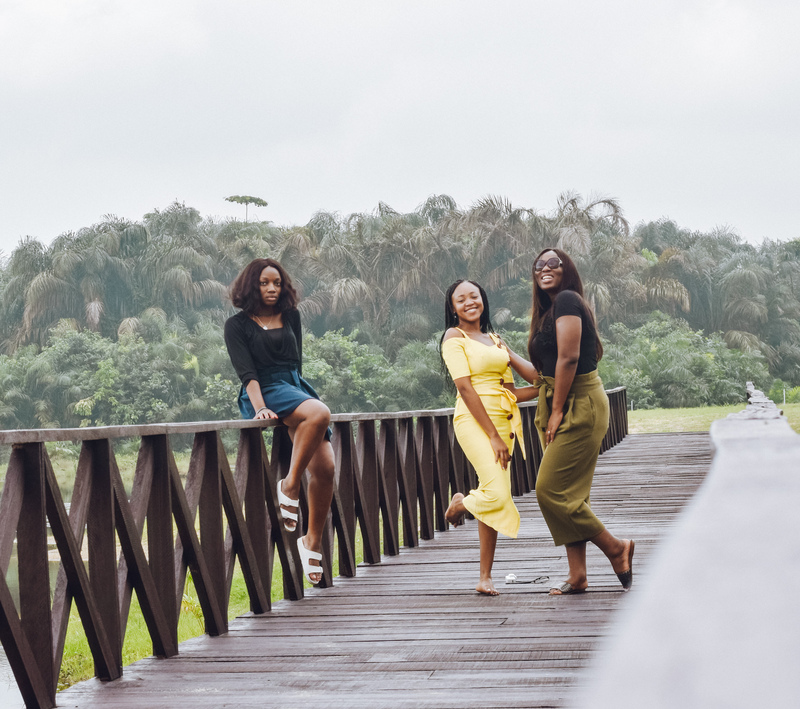 The next morning, I skipped the morning exercise session but happily made the Instagram bridge photography session with my girls – because, you know health is important but Instagram photos are important-er. Our stay came to an end shortly after that. We had an excellent time and I’m sure you will if you do get to visit. The lofts and cottages are self catering, so BYOB. Otherwise, you can patronize the club house restaurant. 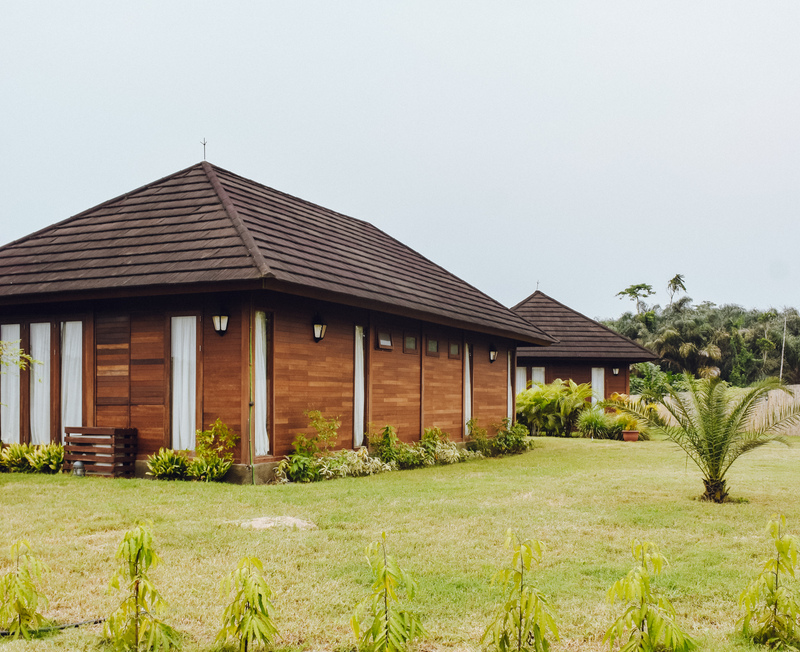 The 1 bedroom apartments cost ₦50,000 per night, while the 2 bedroom apartments costs ₦70,000 per night. FilmoRealty currently offer a 10% discount on these rates for a group of 6 or more people. 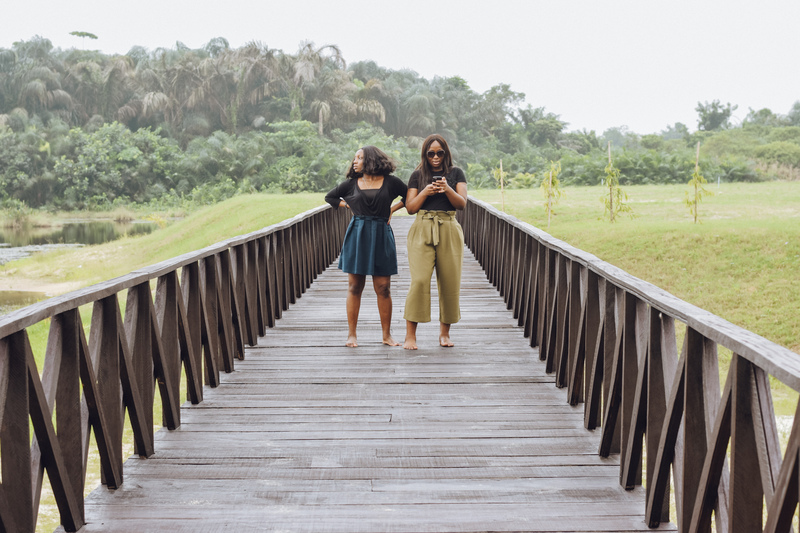 A big thank you to FilmoRealty for hosting us and to Naija Nomads for the plug! Yaay! Would love to hear about your experience when you go. Looks nice… how many people per cottage and apartment ? I guess it depends on the number of rooms per apartment. The 1BR lofts takes care of 2 people while the 2BR would do for 4. Re Legs on the gram: this is my civic duty! It looks so cute and serene. 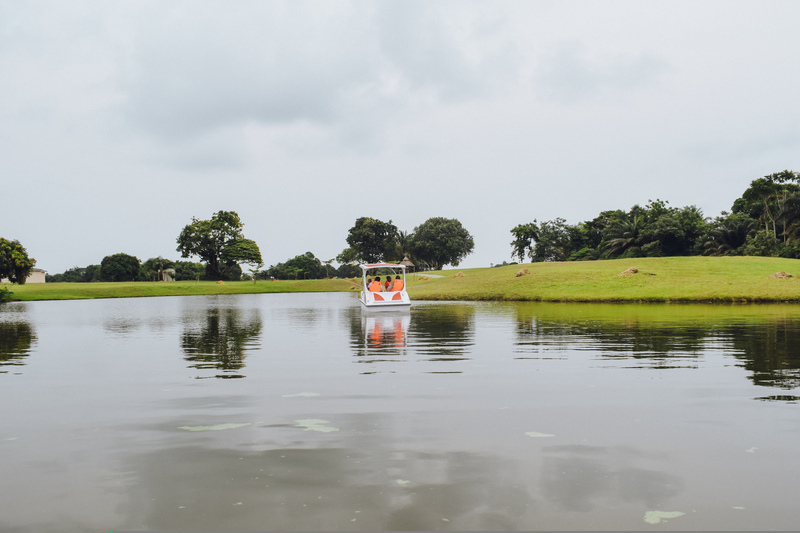 like a perfect weekend getaway from the chaos of Lagos! love the idea of movies on the lawn. I know right! The outdoor cinema was one of my favorite parts of the trip. 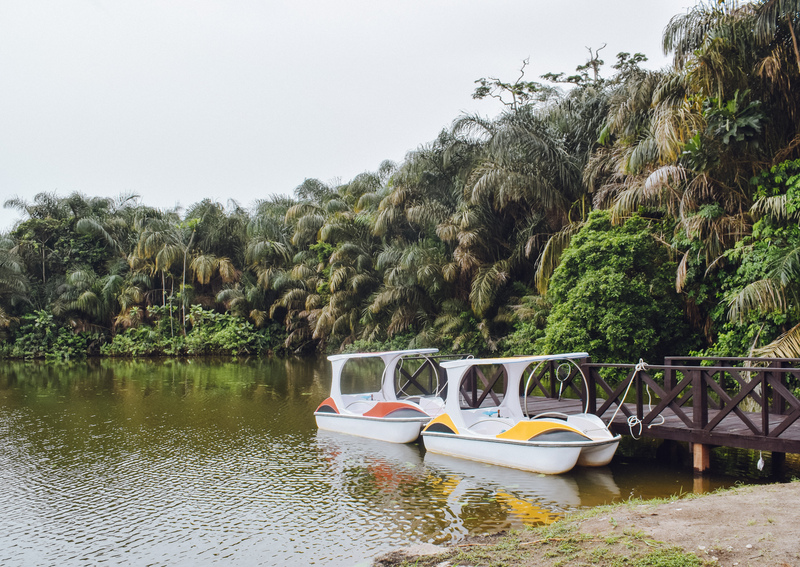 I’ll really like to go here before the year ends, it looks really nice. I enjoyed this post as well. Thanks Seun, hope you check back in when you visit. Would love to read all about it.